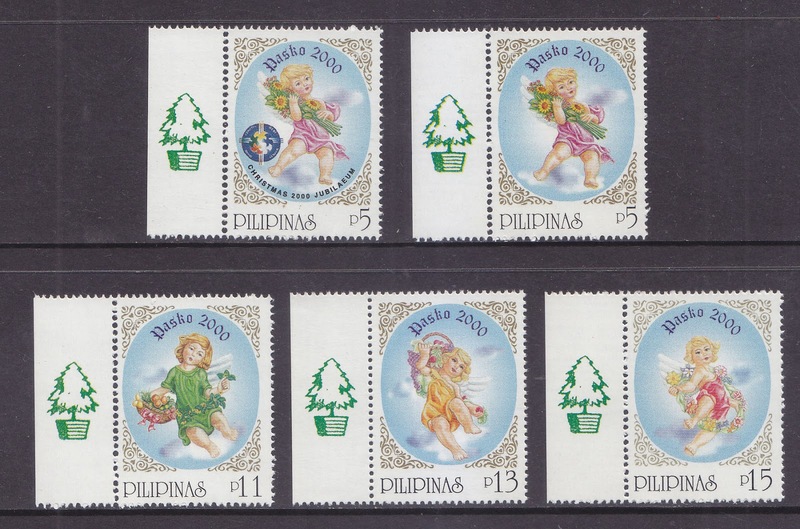 Above is the first set of Christmas stamps printed in 1967 to be used as legitimate postage, unlike the TB seals, which were first printed in 1946 and continue to be sold to date as charity labels with no actual postal function, with option to affix along with the recognized postage issues. 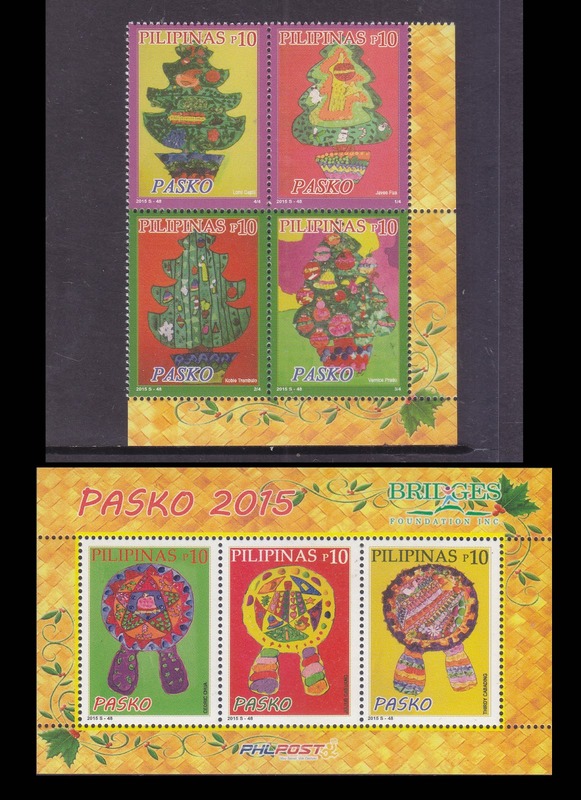 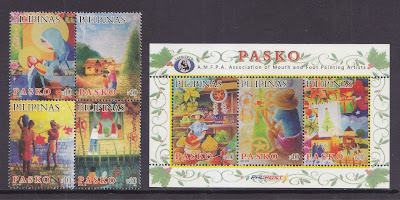 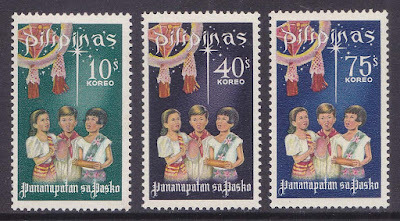 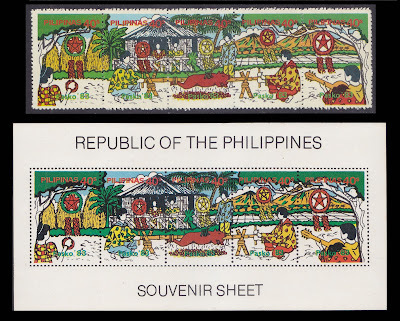 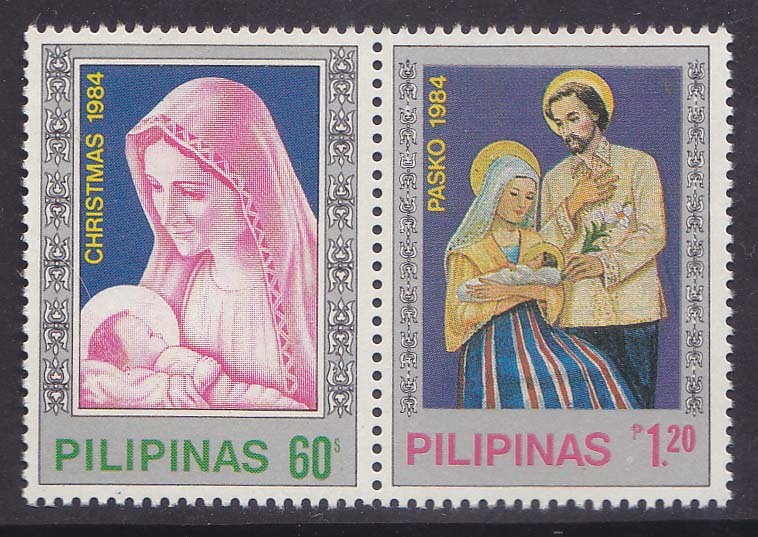 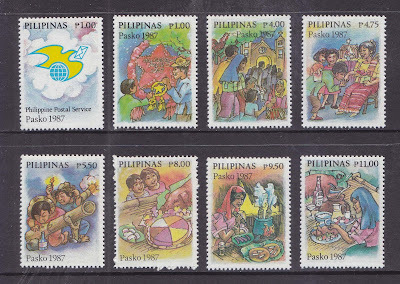 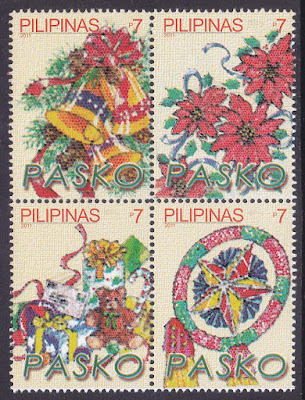 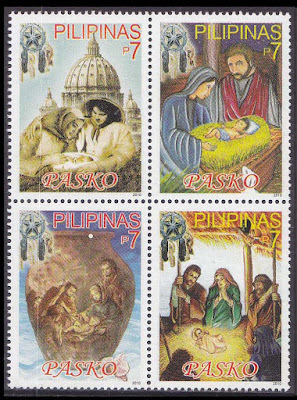 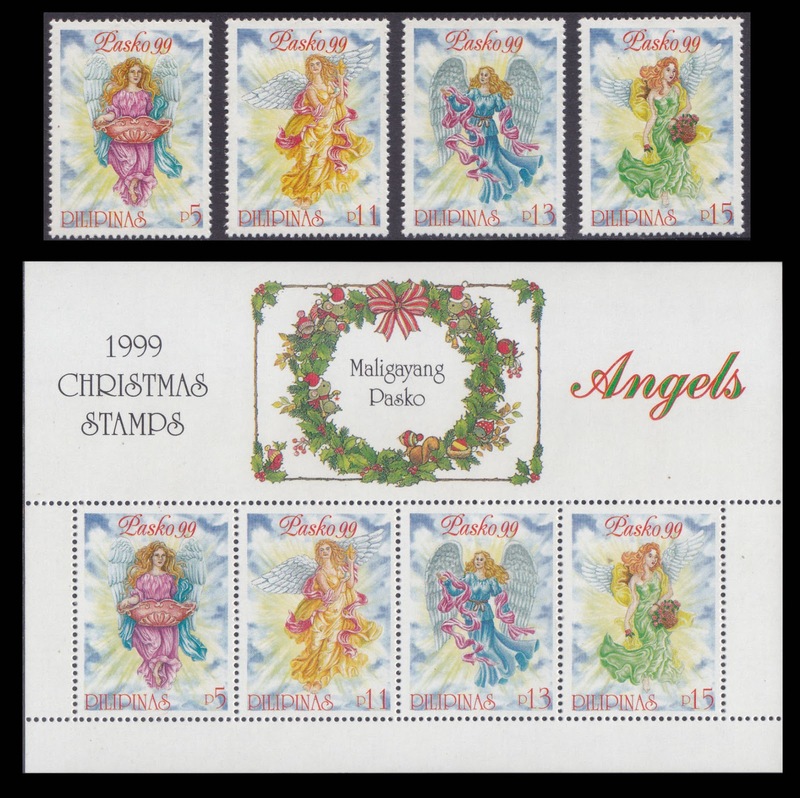 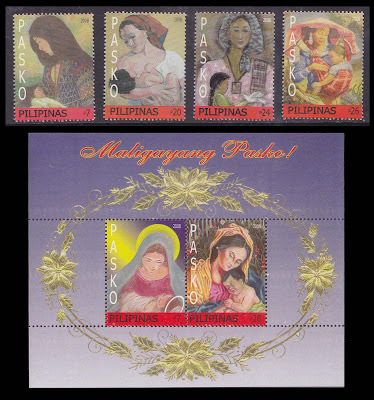 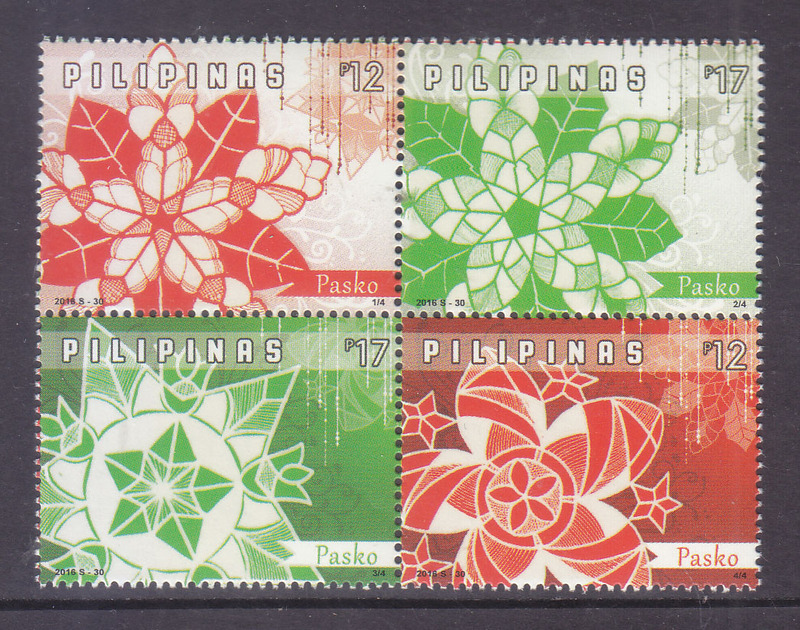 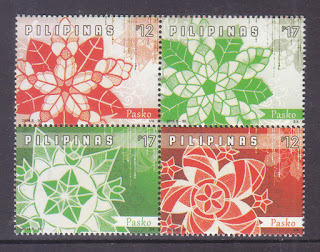 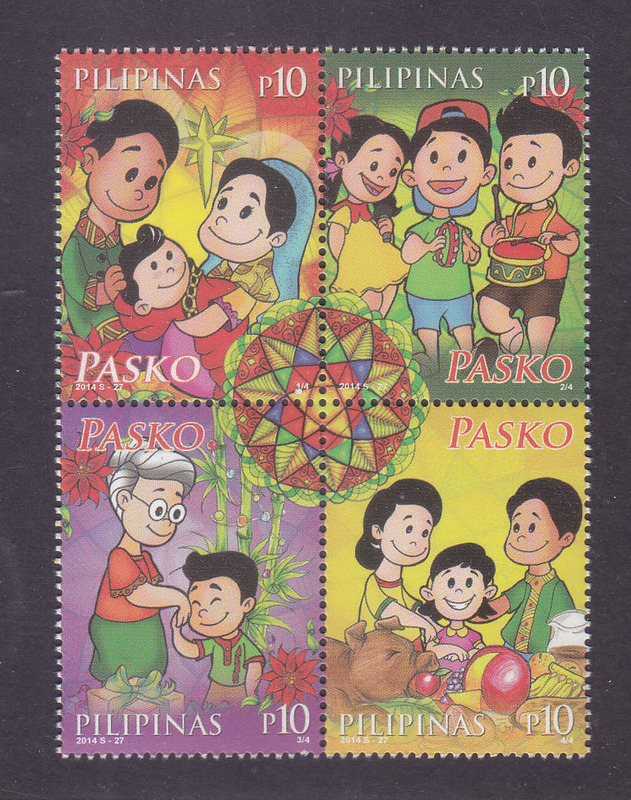 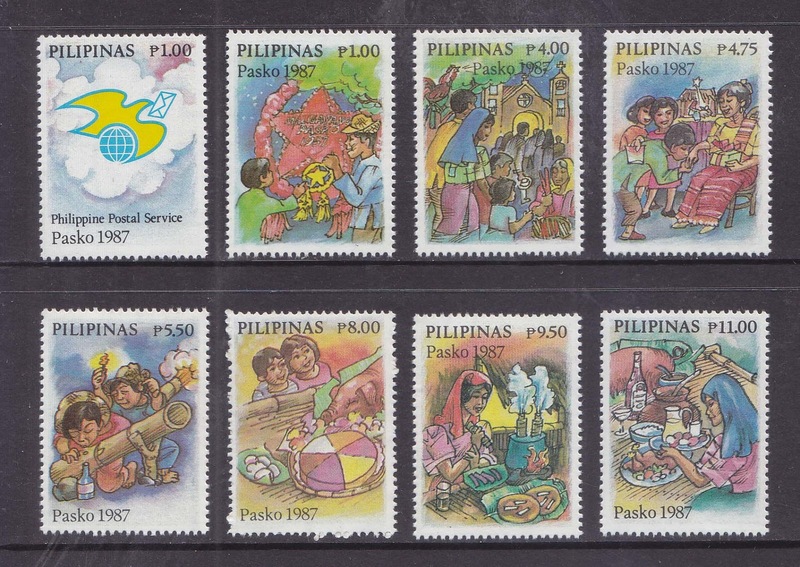 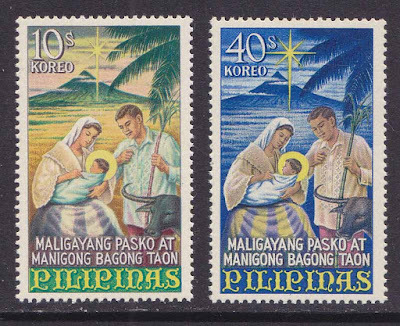 The 1967 Christmas postage set were printed in Japan for the Philippine Bureau of Posts (now Philpost or Philippine Postal Corporation). Ten million of the 10-centavo values and five million of the 40-centavo values were delivered to the Bureau of Posts and were released starting December 1. 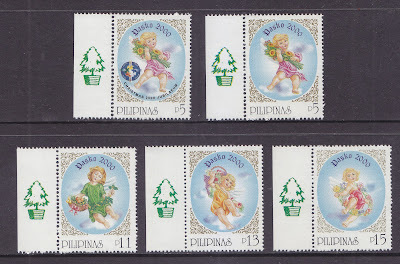 The huge quantity makes the set affordable to today's collectors. Dealers sell the mint stamps for P75 -- relatively cheap for a 49 years old set. 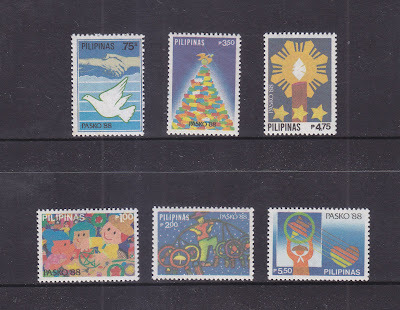 The 10-centavo Christmas postage stamp was used for local mail in 1967; as a young student I got some used issues, soaked off the envelopes of letters. 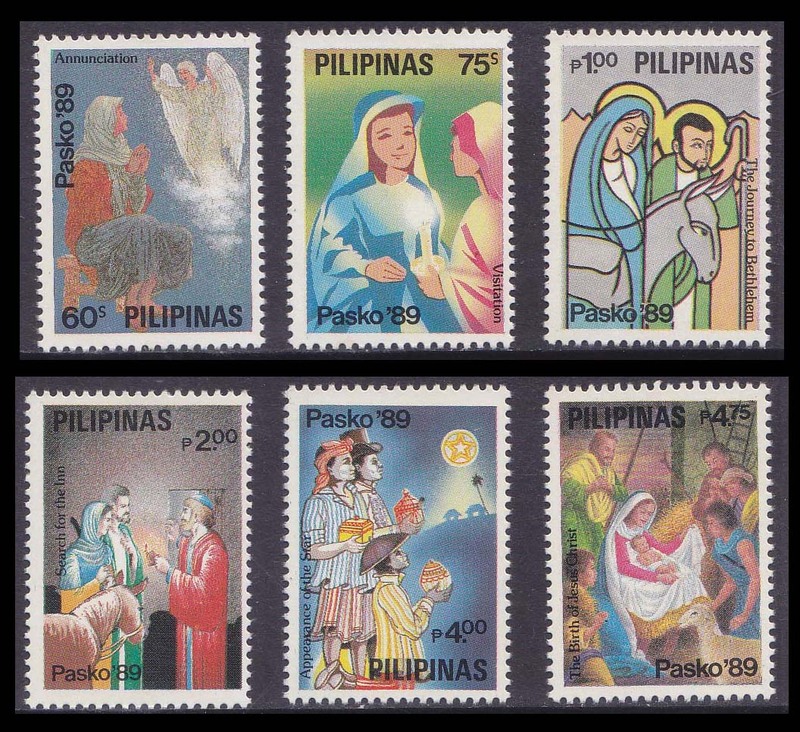 It was many years later that I saw and fell in love with the blue 40-centavo issue, not knowing the existence of such a bright partner to the so-familiar 10-centavo nativity scene. 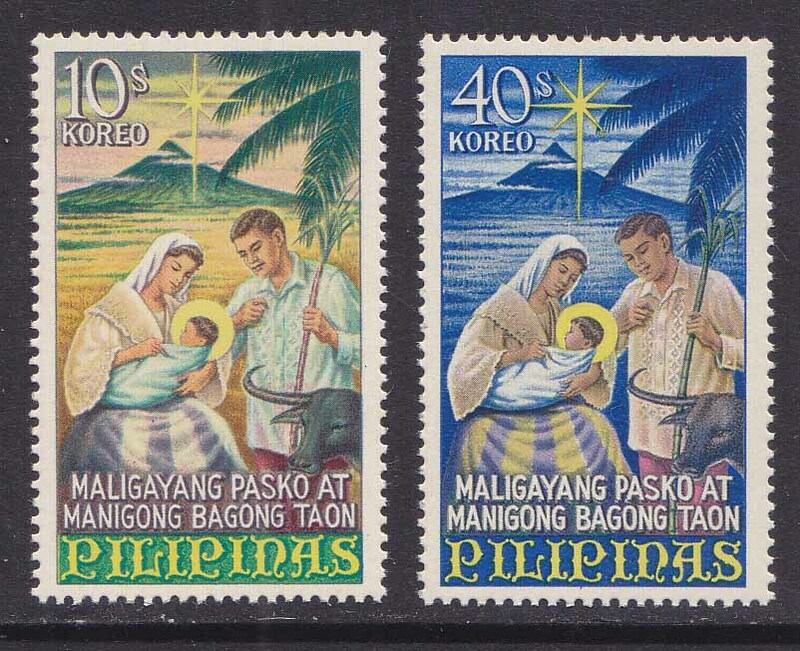 Lovely is the concept of Mary in saya carrying the haloed Jesus, and Joseph in barong holding a stalk of sugar cane, probably acquired in the field leading to Mt. 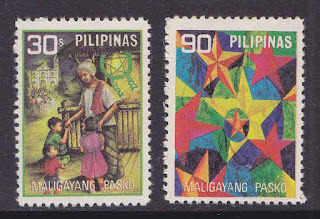 Mayon, lighted by a star shining brightly. 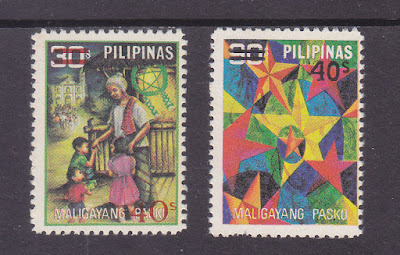 Completing the scene is the carabao, replacing the western donkey. I learned that 40 centavos was the air mail rate, and, receiving no mail from abroad, I did not get to see it until my allowance was increased to start my collection of Republic stamps. 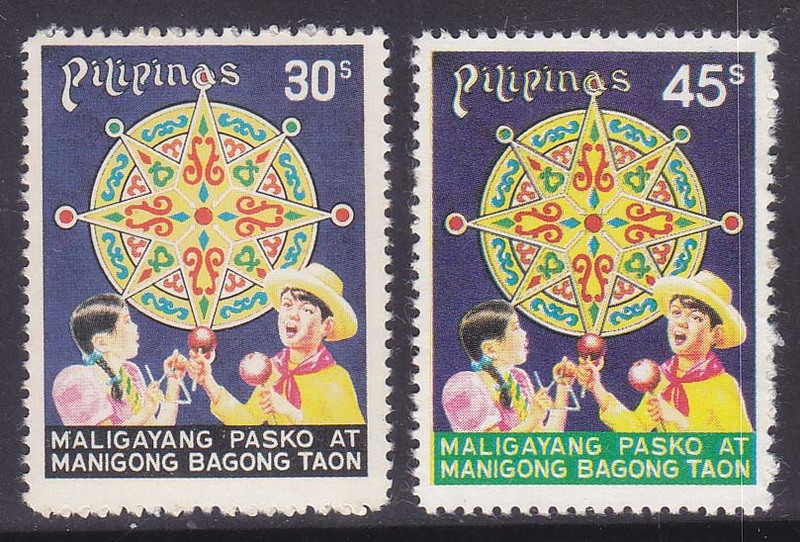 The caroling set was released on 1968 December 16. 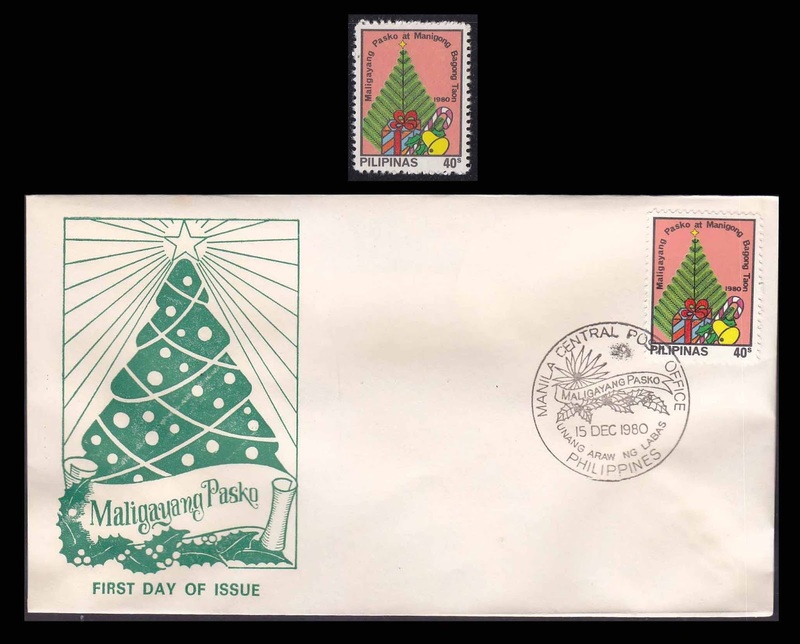 Then, for some reasons, no Christmas postage were printed in 1968-1971. 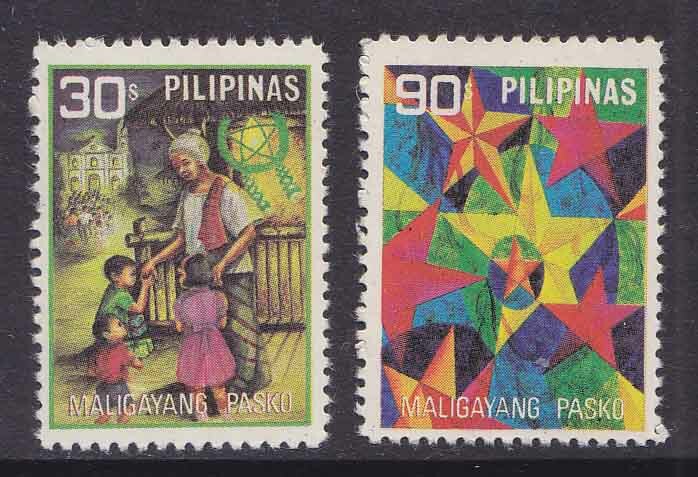 The next set was the Lantern-making set of 1972 (December 14), which showed people indoors because a curfew was imposed after the Dictator Marcos placed the entire country under Military Rule. Then there were no Christmas stamps again in 1973-1975. 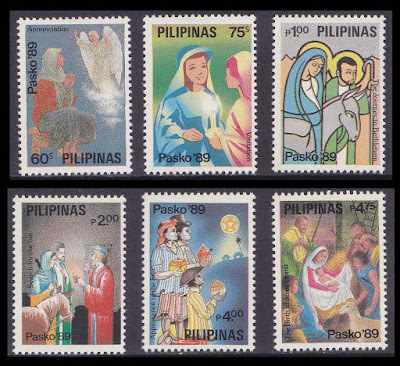 The solemnity of the midnight mass set in 1976 set, however, made up for the three-year dearth. 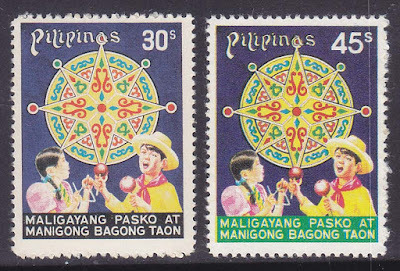 This was followed by another caroling set in 1977. And the post office issued no Yuletide stamps in 1978; 1979 gave us a miserable pair, followed by a pedestrian single in 1980. Also a 1979 issue was surcharged in 1980, and the other was surcharged for 1981. 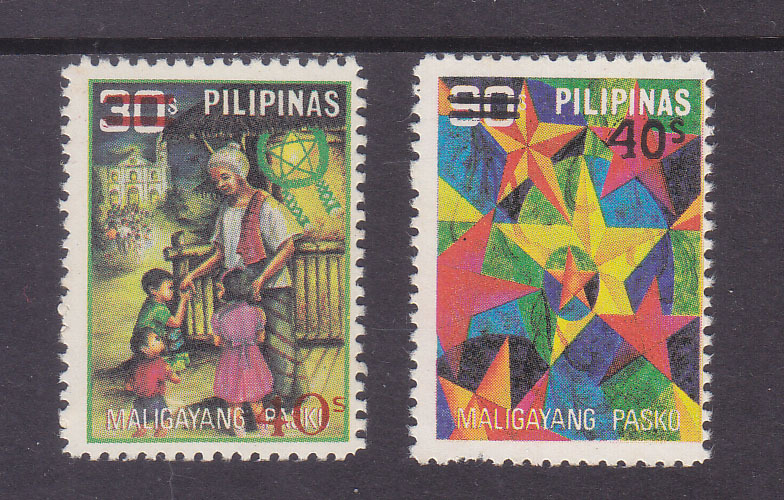 Then followed the issues 1982 to 2016.